During the month of April, write your chosen word count with the support of other writers. I’ve been working on it for over a year. Now, it’s time to finish it. I’ve been telling all my fans and readers about the time travel romance that I’ve been working on. Well, it’s nearing completion. How? I’ve been working on it as my project for Camp NaNo. If you’re a writer, you may know what this is. If you don’t, here is the details. National Writing Month is an event that happens in November. It’s a non-profit website that motivates writers to create a novel in a month, or basically write 50K. I participated last November and finished Never Cross A Warlock. Camp NaNo is a little different than the Big NaNo event in November. You can set your word count instead of the 50K. I’ve decided to set a reasonable word count that should finish my novel: 10,000 words. Plus, you are assigned to a cabin. It’s like an on-line writing group to share your ups and downs during the month. It’s so fabulous being able to share the process with writers in a similar genre. So, I’ve got my next project up to finally finish, Everything For Love. I’ve been revealing info about this project slowly as I progress through it’s completion. Here is a sneak peek of the novel so far: Deirdre is a time researcher. Her job is to study people of the past in person. One benefit of her job, her time travel device runs off the one thing that can power it through out time, human intimacy. We join her in her research in Paris in the late 1890s. Her current assignment, Henri Lautrec and the artists around him. Having wrapped up with that research, she jumps to London 1914. Problems arise and another agent has to help her. I won’t give too much more away yet. I’m still in the first draft process, so it could change over time. Want to see the progress? Even check out Camp NaNo for yourself? Here is my camper profile and direct link to the information for the novel: Everything For Love. There is an excerpt and the cover. I would love any feedback. Feel free to leave comments on the blog. 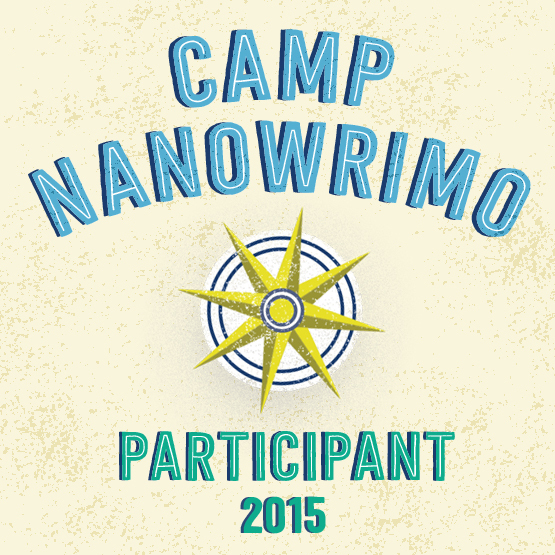 If you’re participating in Camp NaNo this year, send me a message. I love making friends. And if you are participating, best wishes in making that word count. If you want to find out more, go to Camp NaNo and check it out. It’s a great way to motivate. You still have half the month. So, there is still time to join in now. And most of all, keep writing!